The Middle East, as known to Europe during the Reformation. Five-hundred years ago yesterday, on October 31, 1517, a Catholic monk named Martin Luther nailed his 95 theses to the door of a German church, thereby launching what would come to be known as the Protestant Reformation. Whatever else can be said of him, Luther unwittingly initiated something else that is often overlooked. "The Reformation produced one logical if unexpected result," explains European historian Franco Cardini: "a definite boost to the positive evaluation of Islam, and therefore to the birth and development of an often conventional and mannered pro-Islamic stance" in the West. Thus, although Luther maintained the traditional Christian view of Islam—denouncing the Koran as a "cursed, shameful, desperate" book filled with "dreadful abominations"—he condemned the concept of crusading, which had been essential for the survival of some European Christians, such as those of Spain: since its conquest by Islam in the eighth century, the Iberian Peninsula had faced wave after wave of Islamic incursions emanating from North Africa (especially at the hands of the Almoravids and the Almohads, whose jihadi zeal and barbarous means far surpassed anything ISIS can come up with). Nor was Luther merely against crusading "over there" (e.g., to liberate the Holy Sepulchre in Jerusalem, etc.). 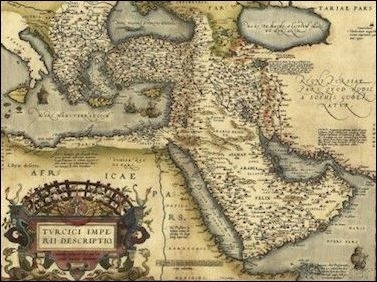 In 1517, the same year that he nailed his theses, history's greatest jihadi empire—that of the Ottoman Turks—absorbed the vast domains of the Mameluke sultanate in the Middle East and North Africa and, having already conquered much of the Balkans, prepared to renew the jihad into the heart of Europe. Luther originally preached passivity to the Ottoman Turks. Against this, Luther originally preached passivity—going so far as to say that, although the Muslim sultan "rages most intensely by murdering Christians in the body ... he, after all, does nothing by this but fill heaven with saints." When the Turks marched to and besieged the walls of Vienna in 1529, rebellious Lutheran soldiers were heard to cry out that the "Unbaptized Turk" (meaning the sultan) was preferable to the "Baptized Turk." By portraying the Catholic pope as an 'Antichrist' figure worse than the Turkish sultan—an office held by Muslim leaders who had been responsible for the slaughter and enslavement of hundreds of thousands of Christians in the name of jihad—men such as Luther and John Calvin, who held that Islamic prophet Muhammad and the Pope were "the two horns of Antichrist," ushered in a sort of relativism that prevails to this day in the West; one which instinctively cites (often distorted) episodes from Catholic history to relativize and minimize ongoing Muslim atrocities. The Reformation generated more vehement and coherent arguments between Christians, the ultimate effect of which was to favor the Muslims. It became customary amongst Catholics and Protestants for each to censure the "vices" of the other's religion and to emphasize that the infidel [Muslims] exemplified the corresponding "virtue," which naturally would have been much better suited to the Christians.... In fact, the arguments between Catholics and Protestants frequently led to a competition as to which of the two could hurt the adversary more by heaping praise upon the infidel. 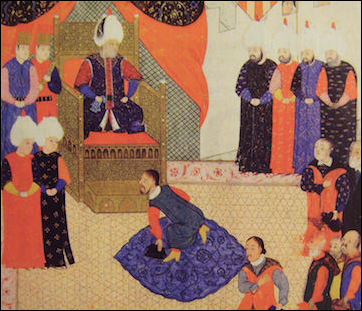 John Sigismund of Hungary, paying homage to Suleiman the Magnificent. All the while, Muslims sat back and laughed—to the exasperation of sensible men such as Erasmus: "While we have been endlessly fighting among ourselves," argued the Renaissance humanist, "the Turks have vastly extended their empire or, rather, their reign of terror." Incidentally, of "Luther's contention that those who make war on the Turks rebel against God, who is punishing our sins [Catholicism] through them [the Muslims]," Erasmus countered that "if it is not lawful to resist the Turks, because God is punishing the sins of his people through them, it is no more lawful to call in a doctor during illness, because God also sends diseases to purge his people of their sins." Similarly, Queen Elizabeth I of England made common cause with the Muslim Barbary pirates—who eventually enslaved some 1.3 million Europeans, including not a few from Ireland and Iceland—against Catholic Spain, prompting that nation's papal nuncio to lament that "there is no evil that is not devised by that woman, who, it is perfectly plain, succored Mulocco [Abd al-Malek] with arms, and especially with artillery." 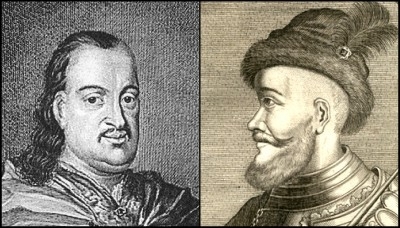 Princes Imre Thokoly (left) and Michael Apafi supported the Ottoman siege of Vienna. In 1683, when the Turks came again for Vienna—enslaving and eventually slaughtering some 30,000 Christians in the process—their chief non-Muslim allies were two Protestant counts: the Lutheran Hungarian, Imre Thokoly, and the Calvinist Transylvanian, Prince Apafi. In fact, the Muslim pretext for marching onto Vienna was to provide military aid to Thokoly, who was then in rebellion against the Austrian Empire. Telling fellow Muslim commanders that "they ought to take advantage of the disorders of the Christians by the siege of the place [Vienna], the conquest of which would assure that of all Hungary, and open 'em a passage to the greatest victories," Grand Vizier Kara Mustafa mobilized arguably the largest Muslim army ever to invade Europe. Before setting off to the relief of Vienna, and cognizant of Thokoly's mischievous role, the Polish king, John Sobieski, wrote to the latter "that if he burnt one straw in the territories of his allies, or in his own, he would go and burn him and all his family in his house." That the Protestant Reformation unwittingly benefited Islam should not be interpreted as an attack on the Reformation or a defense of Catholicism. Nor does it say anything about the theological merits, or truths, of either. (I am, for the record, neither Protestant nor Catholic, and don't have a horse in the race, as it were.) Rather, the point here is that the actions of fallible men, of both religious persuasions, had unforeseen consequences. And, if the historic rifts within Christendom—beginning at Chalcedon in 451, when Orthodoxy (not Catholicism or Protestantism) broke apart—always worked to Islam's advantage, it should come as no surprise that the greatest of all Christian sunderings also had the greatest impact. To this day, naïve and favorable views of Islam are especially ingrained in historically Protestant nations. In short, "The Reformation produced one logical if unexpected result: a definite boost to the positive evaluation of Islam, and therefore to the birth and development of an often conventional and mannered pro-Islamic stance." This "mannered" and "pro-Islamic stance" persists and continues to haunt the West to this day. After all, it's not for nothing that naïve and favorable views of Islam—to say nothing of passive responses to Muslim aggression and an all-consuming fear of being seen as "crusading" against Islam—are especially ingrained in and compromise the security of historically Protestant nations, including the U.K., Scandinavia, Germany, Australia, and the U.S.
Of course, that these views have less to do with anything intrinsic to Protestant theology and more to do with a number of historic forces that have culminated into a sort of uncritical or mindless tolerance for anything and everything in the West—including unabashed Islamic terrorism—is evident in one ironic fact: today it is the Catholic pope—a role traditionally filled by Islam's greatest and most vociferous opponents—who exhibits an unparalleled determination to empower Muslims and whitewash the image of Islam.